We are a highly rated Salon|Spa with an amazing team of professionals offering hair, hair coloring, hair extensions, nails, makeup and bridal services. The company also owns a state of the art Medical Spa facility ( avissaskin.com ) next to the salon offering Aesthetic Laser and Skincare treatments. We are committed to providing an exceptional experience to all our guests and a creative sanctuary where you can make your passion a lucrative career. If you are a hard-working, creative, positive person looking for a career in a thriving, relaxed, and very fun salon, we’d love to hear from you. Looking for a recent graduate for stylist assistant position who is eager to be a career hairstylist, is passionate about the beauty industry and is open to coaching and mentoring. Must have a positive attitude. 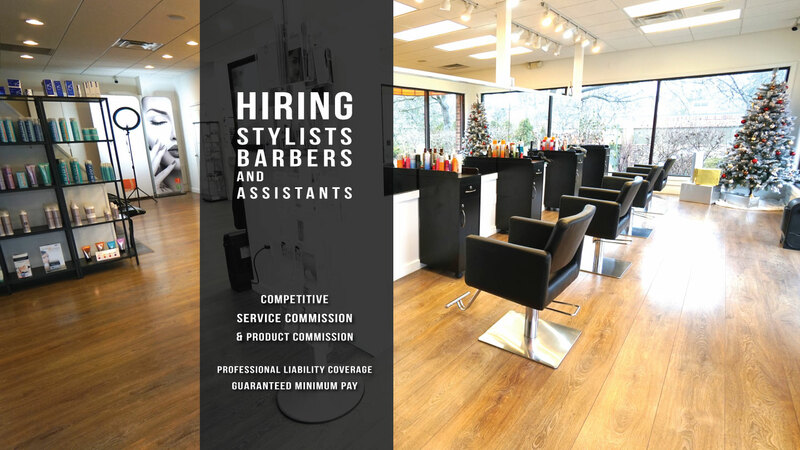 This position comes with the opportunity to learn hair cutting, coloring, and styling techniques, as well as the opportunity to build your own clientele as you grow. Assist owner with blow-drying, shampooing and color applications. Assist owner with their daily salon activities. Assist in preparing clients for services. Sweeping the salon floor and general cleaning to maintain the salon’s appearance. Assist in greeting clients, offering beverages, ensuring clients are comfortable with a happy demeanor.